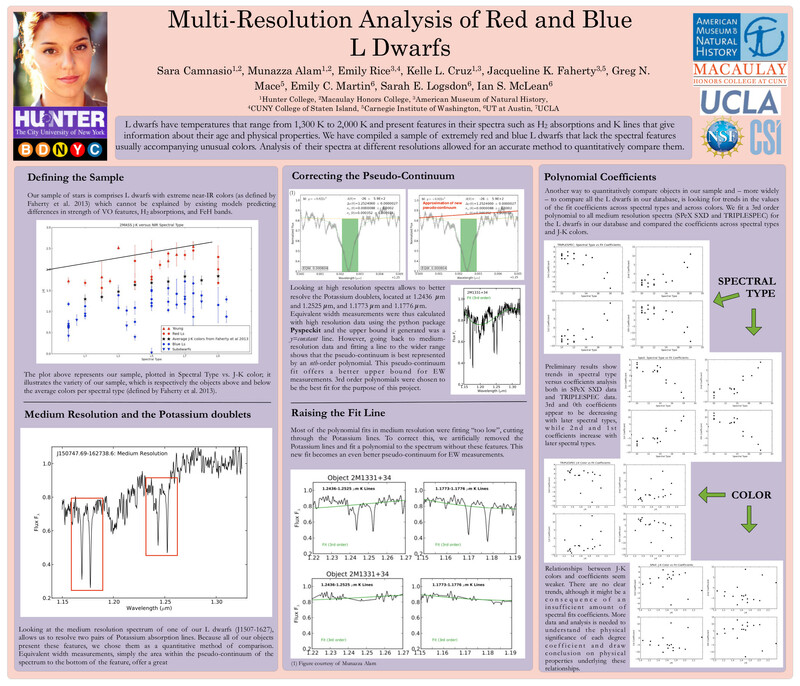 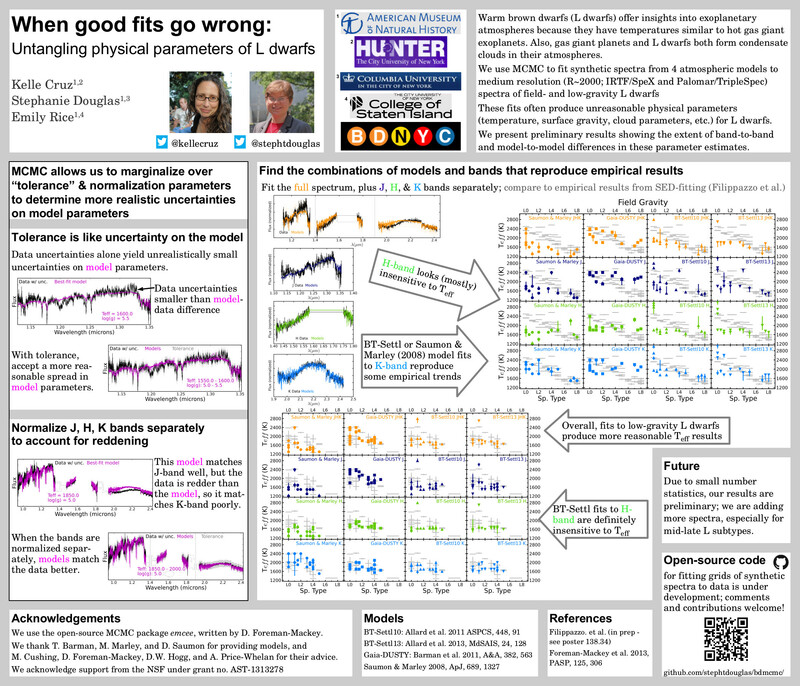 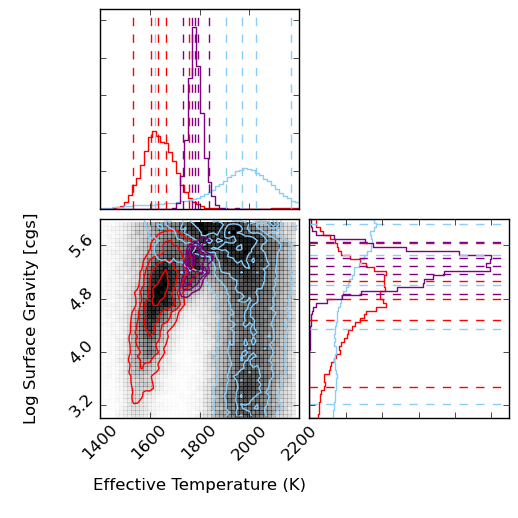 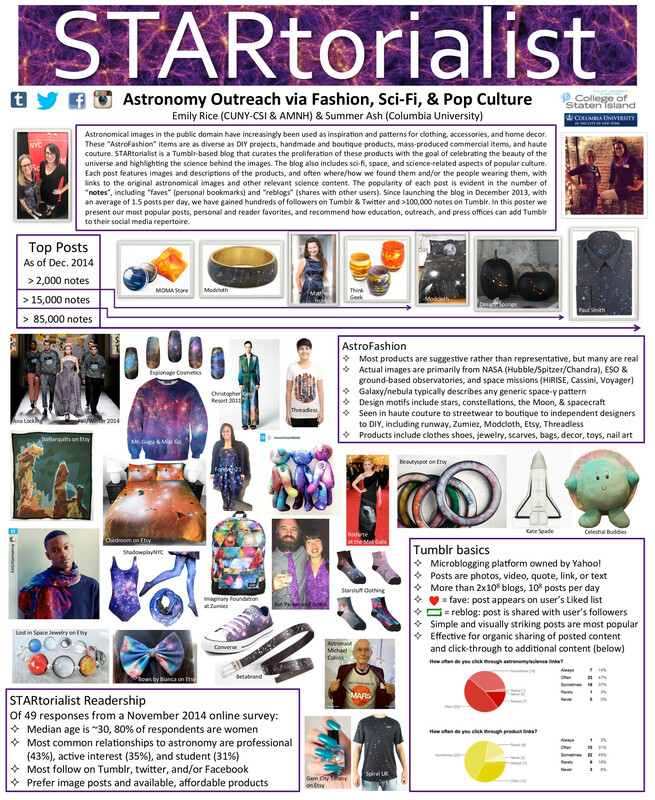 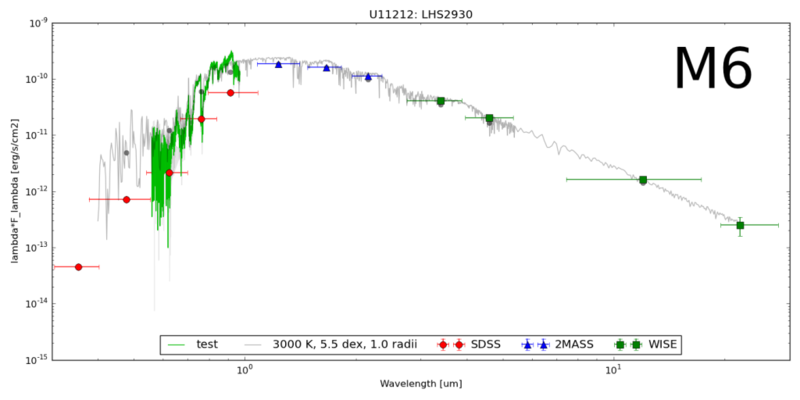 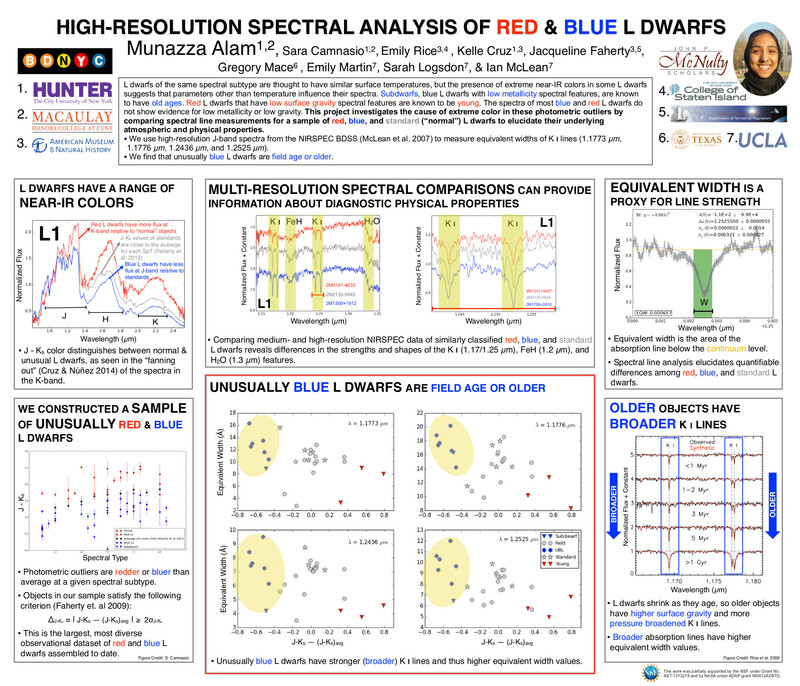 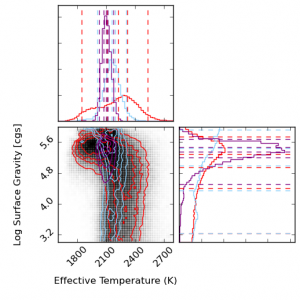 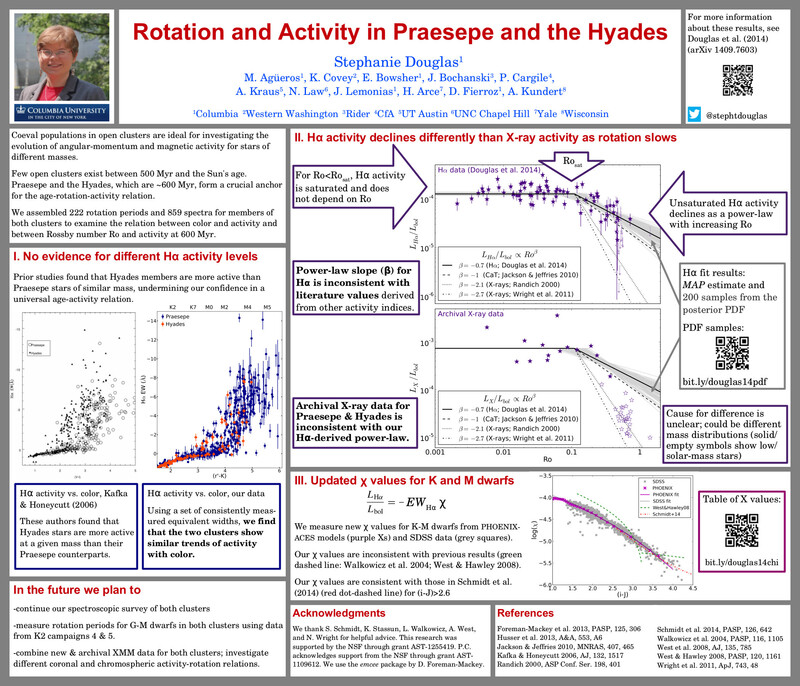 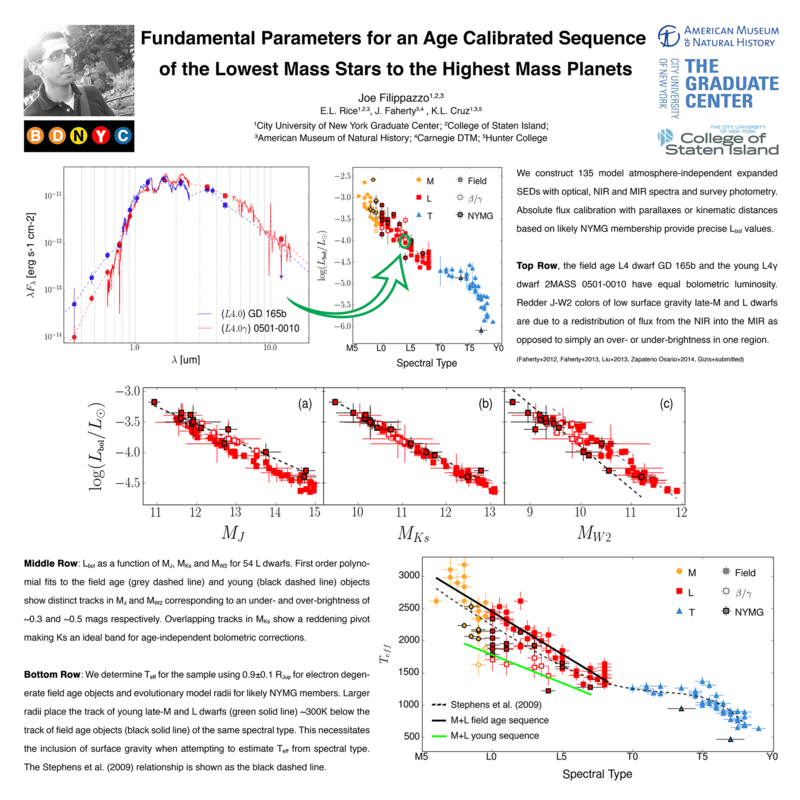 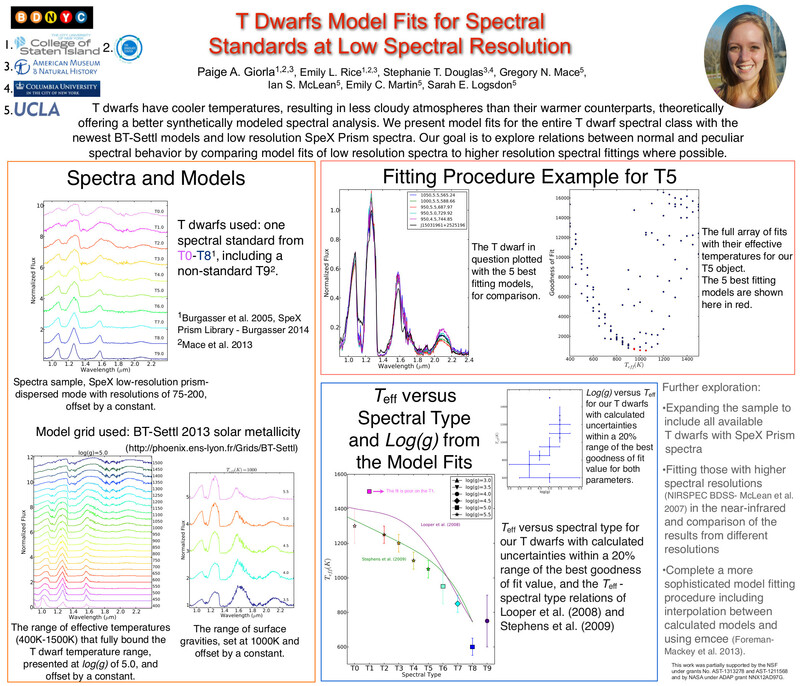 The goal here was to investigate the atmospheric properties of known young objects and identify new brown dwarf candidates by producing extended spectral energy distributions (SEDs). 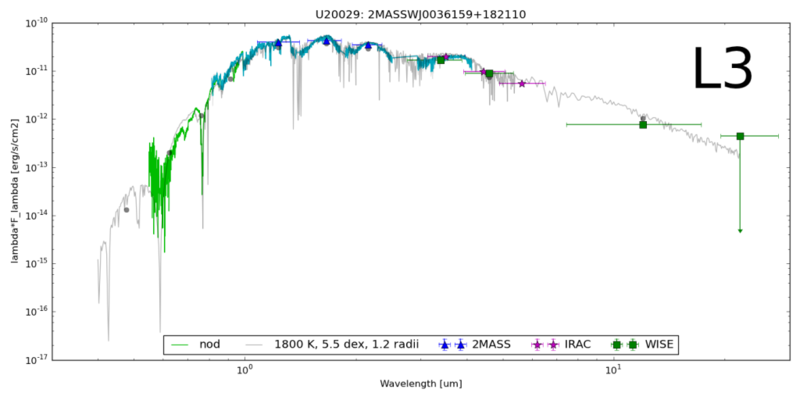 These SEDs are constructed by combining WISE mid-infrared photometry with our extensive database of optical and near-infrared spectra and parallaxes. 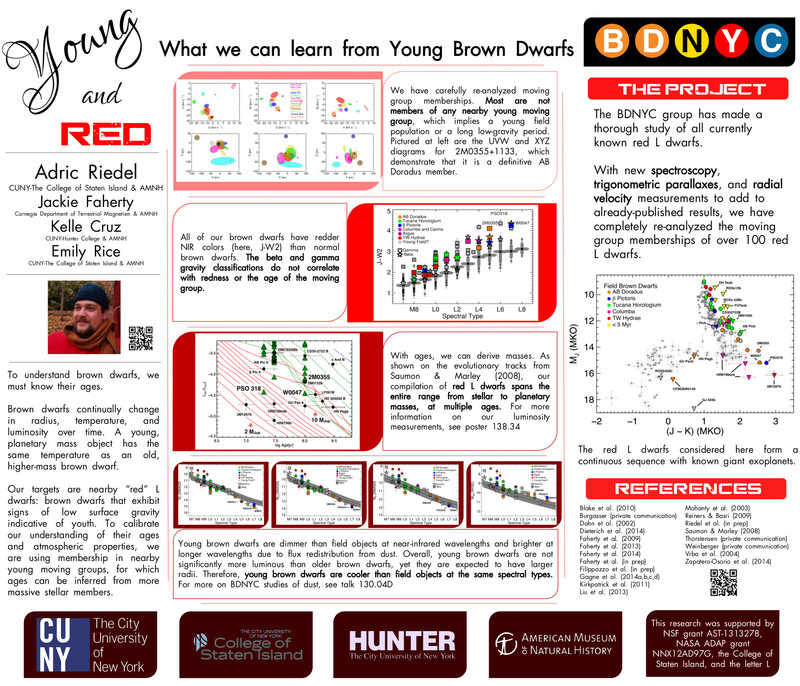 The BDNYC Database has about 875 objects and the number of objects with parallaxes is about 250. My code queries the database and the parallax measurements by right ascension and declination and then identifies the matches with enough spectra and photometry to produce an SED. 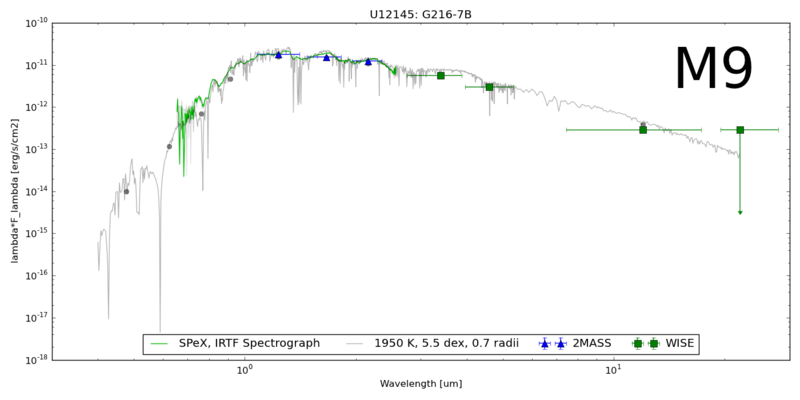 Next, it checks the flux and wavelength units and makes the appropriate conversions to [ergs][s-1][cm-2][cm-1] and [um] respectively. 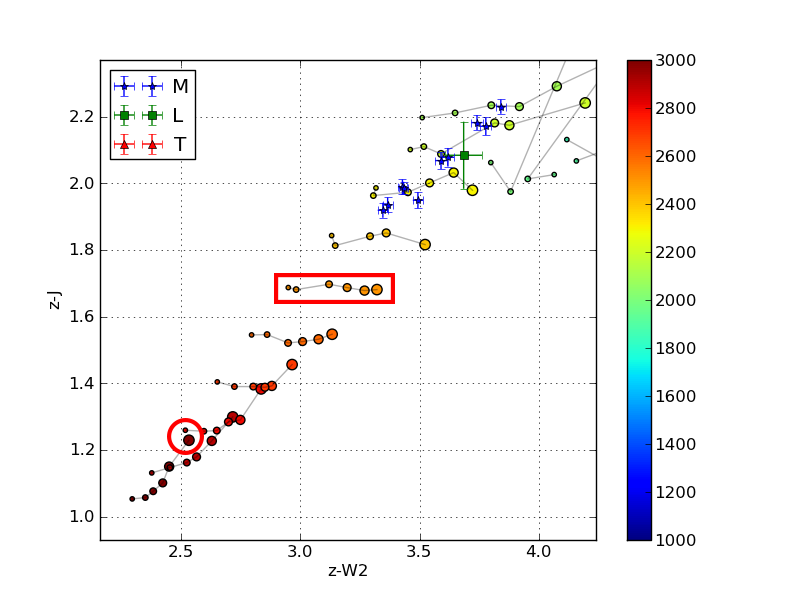 0.5 MJup < radius < 1.3 MJup in 0.05 MJup increments. 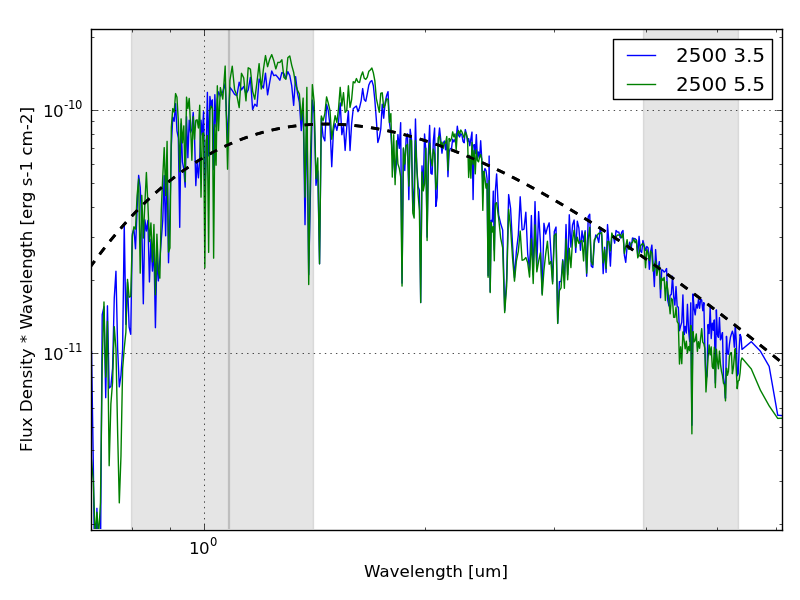 Once the best match is found, it plots the synthetic spectrum (grey) along with the photometric points converted to flux in each SDSS, 2MASS and WISE bands (grey dots). 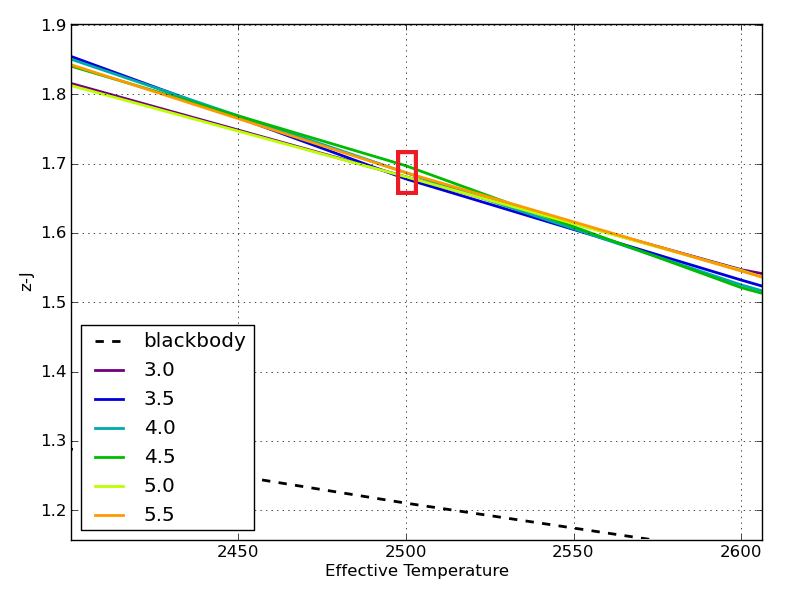 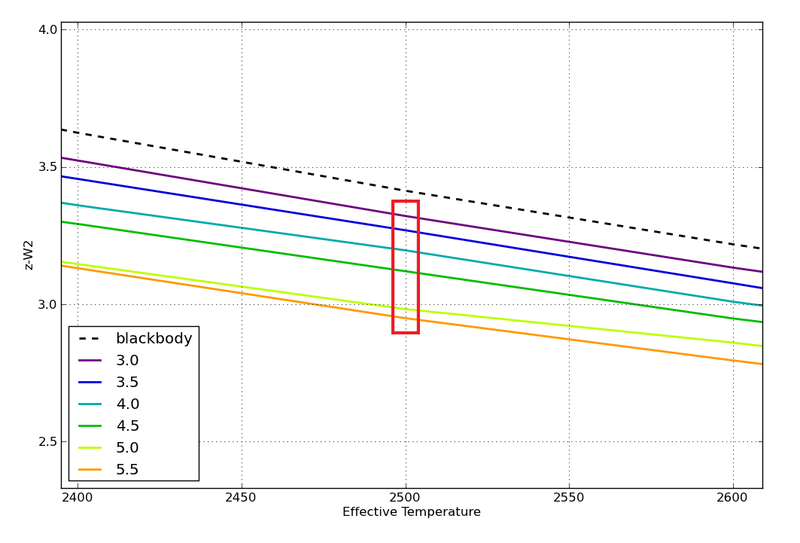 In this manner, the fitting routine guesses the effective temperature, surface gravity and radius simultaneously.